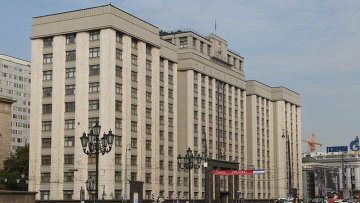 Russia’s State Duma adopts bill on punishment for alluring minors to rallies | Russian Legal Information Agency (RAPSI). MOSCOW, November 6 (RAPSI) – The State Duma passed a bill on administrative penalties for alluring minors to take part in unauthorized meetings, demonstrations or pickets in the first reading on Tuesday, according to a statement published on the website of the lower house of Russian parliament. The bill to prevent participation of minors in unauthorized public events in order to protect their lives, health and development was submitted to the State Duma in May. Amendments are proposed to Russia’s Code of Administrative Offences.